I saw an article on TechCrunch about stackshare.io, and I saw that the value proposition was that companies can attract developers by listing their stacks. I thought to myself what else could be an attractor for talent to companies? A big one is the people that are already at these companies. Seeing who works there and what people's roles are is an interesting way to get more signal about a company. 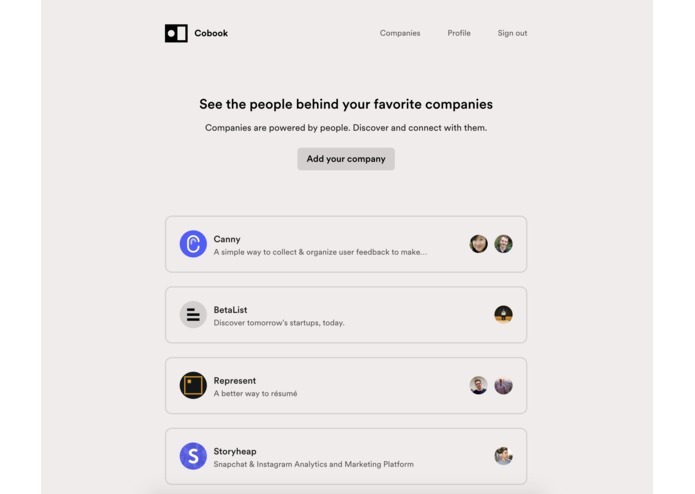 Cobook allows for you to explore companies and the people who are behind them. Often times it's hard to find who works at a company and team listings are usually tucked away. 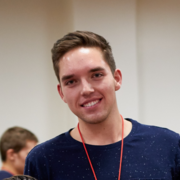 Cobook makes it easy to discover these people and connect with them. 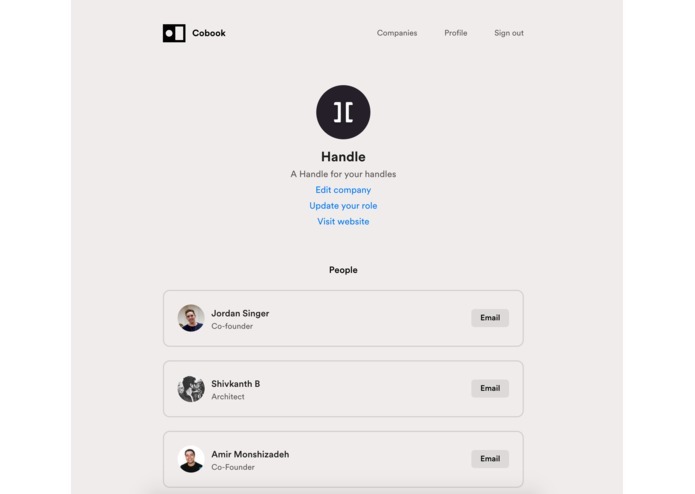 Cobook was built using Ruby on Rails. Figuring out the flow for how to add your own company, and managing the people inside your company and how to invite them were some of the challenges we faced. 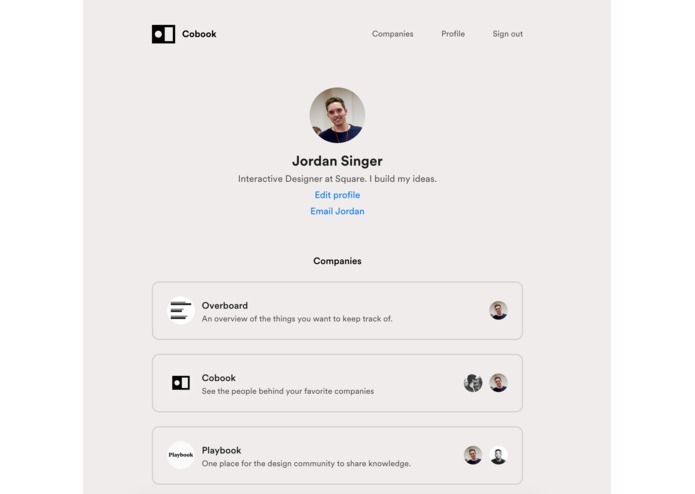 We've built a beautiful interface and an amazingly simple way for any company to showcase the talent that works there. We've learned that companies are interested in showcasing their talent as an attractor for other talent. Discovery of these companies and the people that work there are important. Imaging being able to see how diverse a company is, for example, seeing what percentage of people at this company are women? Also, be able to get recommended companies to work for based on the mutual connections to the people that work there. You can now search for companies and people on Cobook.